Many people who inquire about LASIK eye surgery are sometimes discouraged by the cost of the procedure. Often they question, "Is LASIK worth it?" While we can breakdown the question financially, only you can really answer this question. Only you know the day to day struggles you face with glasses and contacts. Have you ever lost a contact or woke up in the middle of the night and struggled to find your glasses? What about seeing the alarm clock? If you are active, what would life be like not worrying about contacts falling out? Or if you are one of the thousands of people whose eye don’t tolerate contacts, what would it be like to not have to take your glasses off when you enter a warm house in the winter because they fog up? Have you ever worried about losing your glasses while on vacation? All of these questions along with the financial cost of LASIK will ultimately determine “Is LASIK worth it” for you? The national average cost of LASIK surgery is $2,199 per eye. Understandably, prospective patients may find the price of LASIK unsettling, however, most people will save money over time by having the procedure, especially those who wear contacts. It’s also becoming increasingly popular to spread out the cost of the procedure over time by using pretax dollars set aside in Flexible Spending Accounts (FSA) or Health Savings Accounts (HSA) allowed by employers. Utilizing an FSA or HSA account allows the person to set aside a determined amount ($2,550 for FSA and $3,300 for HSA for a single person or $6,550 for HSA for a family). Another extremely popular method of paying for the procedure is to utilize financing options offered by the provider. 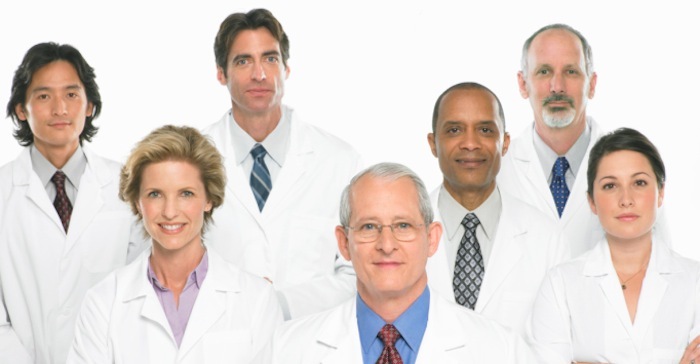 Providers will often offer 6 and 12 months financing with 0% interest to qualified applicants. When comparing the long-term cost of contacts, exams, and eyeglasses versus the one-time cost of LASIK eye surgery, it is evident that the initial expense of LASIK is lower than the annual cost of contacts, exams and eyeglasses combined over time. The cost of contact lenses quickly adds up due to regular replacements when compared to eyeglasses. A box of contacts usually contains about six lenses and can range from $25 to $80. Disposable contacts need to be replaced more frequently than others; they require patients to purchase several boxes of contact lenses each year. The cost of contact lenses can vary depending on a patient’s prescription and the type of lenses they wear. Toric lenses, which correct astigmatism, are more expensive than other contact lenses. Toric lenses can cost up to $80 a box and an annual supply requires several boxes. When patients with astigmatism are interested in saving money, many of them consider LASIK, since purchasing Toric lenses may exceed several hundred dollars annually. Night and Day contact lenses allow patients to sleep without removing the lenses for up to 7 days and typically last for 30 days, giving patients the closest experience to eliminating glasses other than LASIK. While sleeping in contacts provides a temporary experience of not needing glasses, it does come with risks as researchers found the incident of eye infections is greater in people who sleep in contacts. While extended wear contact lenses have been approved for up to 30 days, most eye care professionals will still recommend their patients remove their contacts daily. Longer lasting contacts are often more expensive and patients who buy Night and Day lenses are spending around $70 a box. Although Night and Day contact lenses may last longer, patients are still required to spend hundreds of dollars annually while still falling short of a permanent vision correction solution. In other words, patients will be required to continue buying contact lenses for the rest of their life if they wish to reduce their dependence on glasses. LASIK may be an option to eliminate the need for eyeglasses and contacts potentially saving them thousands of dollars over time. 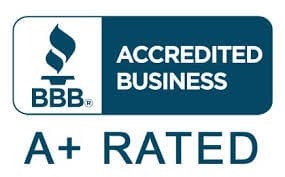 For this reason and many more, most people who have undergone LASIK believe LASIK is worth the higher initial cost over time and thus believe LASIK is worth it. Between buying eyeglasses, contact lenses and paying the fees for visits to the eye doctor, the cost of vision correction adds up quickly and does not provide a permanent fix. Patients who wear more expensive lenses may end up paying close to $900 each year after all the add-ons offered like anti-reflective coatings, high-index plastic, polycarbonate lenses, polarized lenses and whether or not to get single vision or progressive lenses. Most people replace their eye glasses annually or every other year and are forced to cover all the fees all over again. 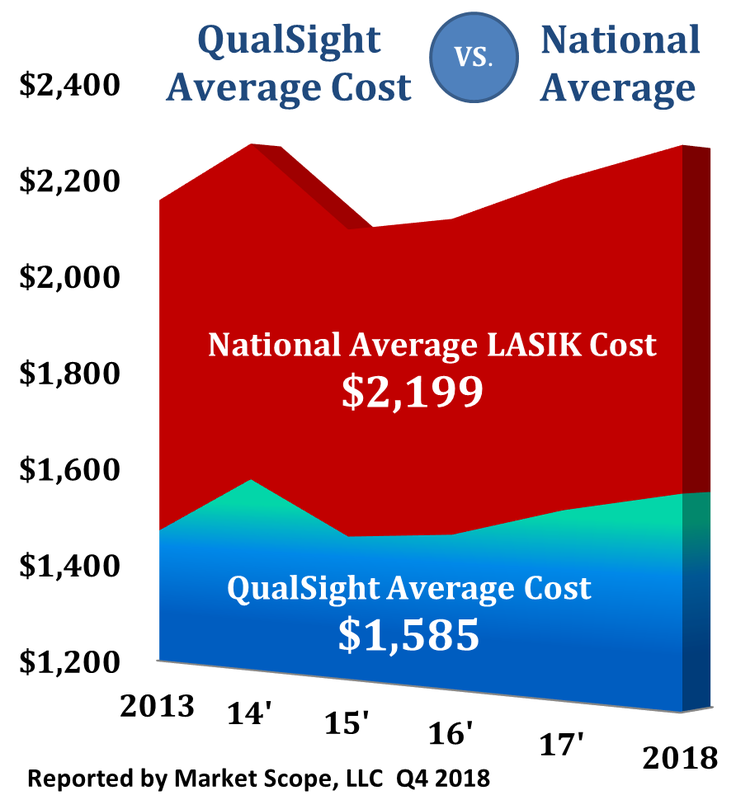 At QualSight, the price for Traditional LASIK surgery is typically less than $995 per eye and more advanced technology such as Custom LASIK is less than $1,450 per eye. Even though the initial cost of LASIK is higher initially, it is typically a one-time fee and over time LASIK is worth it when it comes to saving money.